There is no hidden secret to getting rich. The theory is quite simple; spend less, earn/save more, and invest wisely! But, practically speaking, it is harder than it sounds. Spending less and saving more is no easy feat. You have to cut your extras in order to have a financially secure and stable life. It is true that most individuals and families kick-start their New Year with an aim to save more and spend less, but they usually end up saving no money at all. The reason why they fail to manage their money-related tasks is that they don’t plan and budget their monthly paychecks properly. 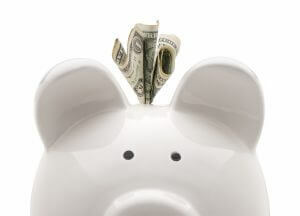 How to save money is probably one of the most asked questions. To which, people have predicted answers like budget your paychecks, spend less, save more, plan wisely, etc. But, little do they know, saving money is much more than all of this and has its own strategic significance in the financial world. There are several ways by which we can save money and accumulate a significant wealth for hard times. With an intention to save money, you can make things work in your favor and save a lot for your rainy days. Setting realistic goals and making an effective money-saving plan requires a brilliant amount of willpower and a promising start to save money. However, it is not an impossible job since there are many ways in which you can save and spend less. The major driving force that triggers you to save something for hard times is an unpredictable future and uncertain medical and personal conditions. Budgeting your paycheck is the safest way that you can save the most out of your monthly salary. In order to achieve your goals of spending less and saving more, you have to make a comprehensive plan by looking at both present and futuristic needs. You can only do this once you know the exact status of your financial equation and how much you can afford to spend in a single month. Making a concrete plan may take a little while before you can implement it properly but, once you find a perfect balance in managing your money, you can save a lot for yourself. Saving money for meeting financial insecurities is critically important for securing the future of your family. Here’re how you can save more and spend less. The first step to saving money is knowing how much you can afford to spend in a single month and how much you need to save and contribute to your savings or retirement account. So, prior to making a monthly budget plan, you need to record and track your monthly financial transactions—everything from bills to buying coffee or snacks. You must have a clear picture of where your money is coming from and where your money is going. Once you know the exact status of your spending, it will be relatively easier to sketch up a rough plan for the entire month. Making a budget plan is one of hardest parts. However, this doesn’t have to be tough , especially when you get a clear picture of your monthly expenses. It’s been said that ‘making a budget plan is hard and following it strictly is even harder.’ Moreover, a budget plan serves as a blueprint for the entire month that restricts you from buying unnecessary stuff. Proper budgeting and bookkeeping help you a lot to initiate a plan to save money that surely leads you to save and spend less. Cutting your extras, especially in grocery items, will help you save a lot of money. Whatever you save for the month increases your savings account balance and that is surprisingly awesome for you and family. This indicates that the more you save, the more stable and secure your life will be! In order to save and spend less, you have to be very careful and choosy in selecting the right items from the shelves or you may find it extremely difficult to save anything for the month. https://www.completecontroller.com/wp-content/uploads/cclogo_main-long-300x63.png 0 0 Complete Controller https://www.completecontroller.com/wp-content/uploads/cclogo_main-long-300x63.png Complete Controller2018-09-14 10:36:562018-09-14 12:48:36How to Save: Methods to Save More and Spend Less!